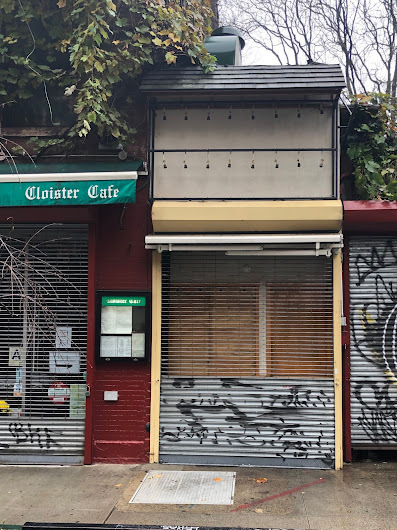 Yonekichi has shut down its quick-serve spot on Ninth Street between Second Avenue and Third Avenue... EVG Ninth Street Bureau Chief NOTORIOUS notes that Yonekichi even took their bench seat out front.. 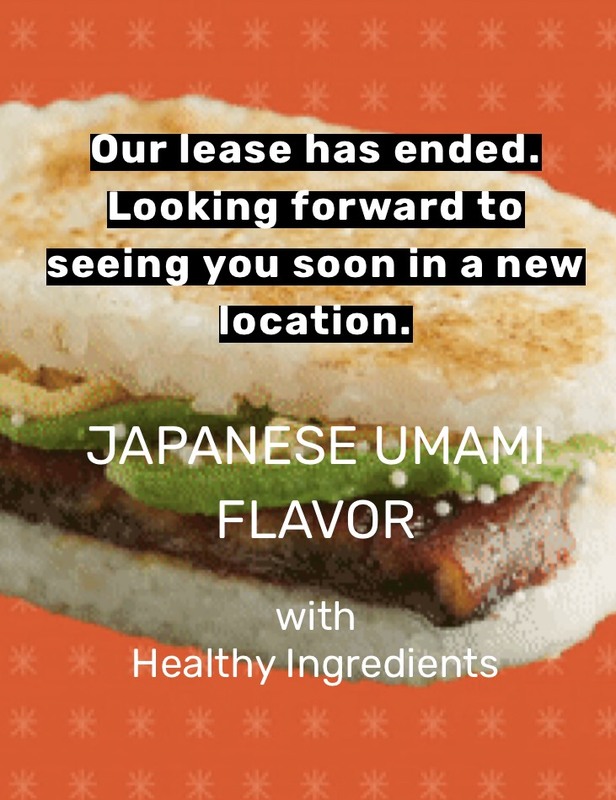 The to-go spot was a big hit (except with the Daily News) when it opened back in August 2014, serving a variety of crisp rice buns with made-to-order fillings. Oh shoot, these were good! I liked the salmon riceburger with wasabi fries. Dammit. Damn. Loved their yuzu fries. Hope they find a new home. I like their fusion burger offerings, novel and unusual and yet still quite familiar. And why is anyone surprised that a business is taking their bench with them when they leave. It's theirs, isn't it. Why wouldn't they take it. "And why is anyone surprised that a business is taking their bench with them when they leave." 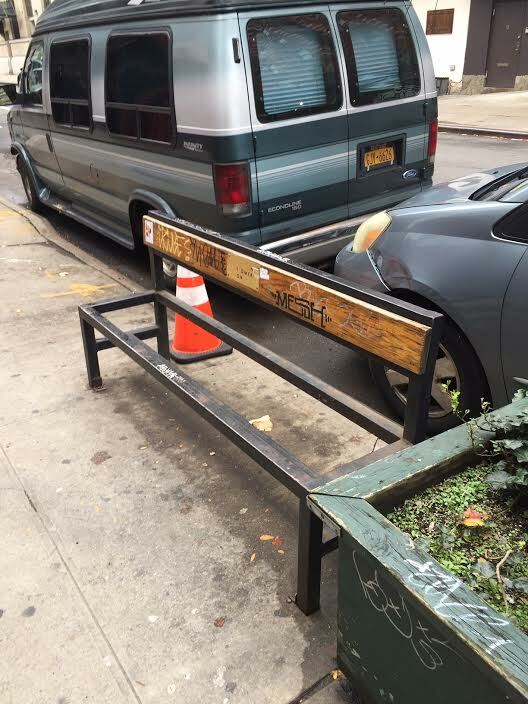 Because they only took the bench seat, leaving a useless frame in a space that they appropriated? I tried them when they first opened. I ordered a half cooked egg thing between two buns made of compressed white rice, served in a paper sleeve. I took a bite and yoke and rice exploded on my hands and face. The paper sleeve was of no help. @sophocles The old men outside refer to it as a rim seat, whatever that means.